The mission of Counseling and Psychological Services is to foster the psychological development and emotional well-being of students through counseling and psychotherapy, preventive and educational programming, consultation and outreach, as well as contributions to the mental health professions. 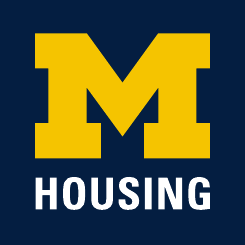 Residents are encouraged to visit CAPs in the Michigan Union or visit their website to learn more. CAPS has an urgent or crisis support line that can be contacted 24 hours a day by calling 734-764-8312. For life-threatening emergencies, please call 911.